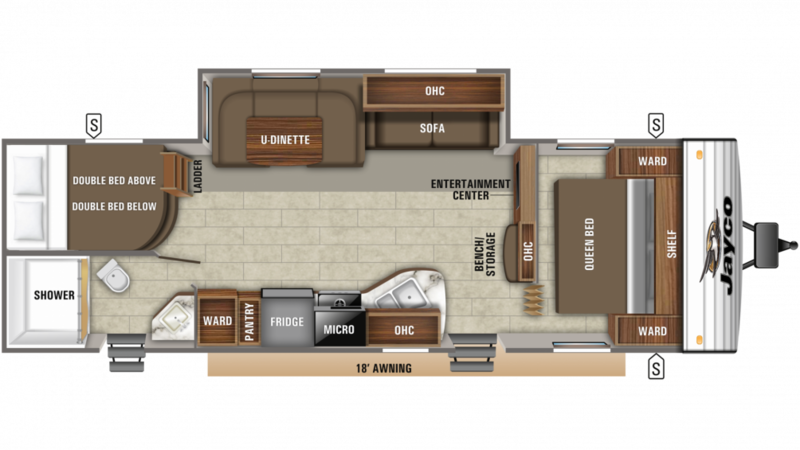 If you're hankering to own this super 2019 Jayco Jay Flight SLX 287BHS Travel Trailer, then TerryTown RV in Grand Rapids, Michigan is the RV dealership to see! We carry all the top brands at wholesale prices, and we've got financing to fit every customer's budget! Our friendly, knowledgeable staff will help you find your dream RV at a price you'll love! We've been a top RV dealership for over 40 years, so stop in and see us today at 7145 Division Ave S Grand Rapids Michigan 49548 or give us a call at 616-455-5590. Your RV dream is about to become a reality! 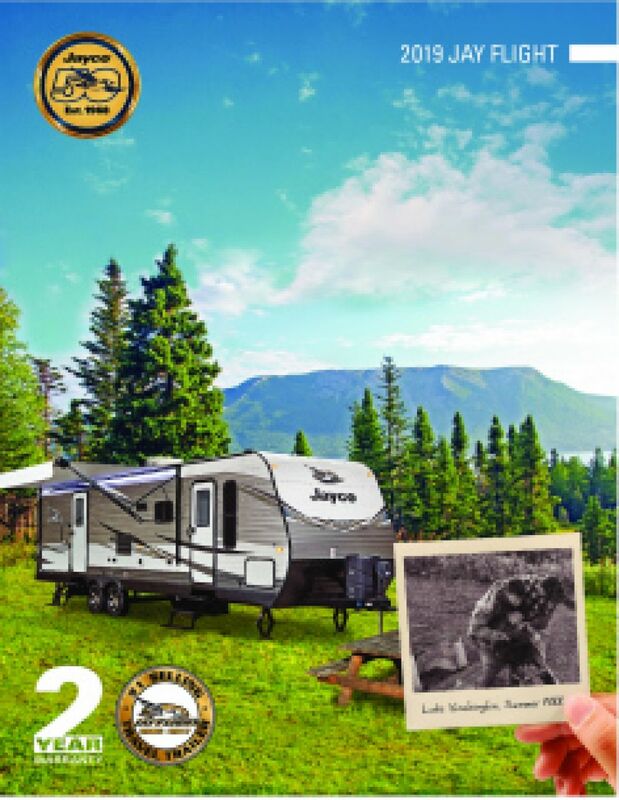 You'll love traveling the countryside in this Jayco Jay Flight SLX, especially with its hitch weight of 665 lbs. and GVWR of 7500 lbs. It's easy to tow and maneuver! When you're all set up, you'll enjoy twice the outdoor fun under the shade and comfort of the 18' 0" patio awning that opens with ease! This Travel Trailer is roomy enough for the whole family when you have to head inside because of inclement weather. It's 33' 5" long, 8' 0" wide and has 1 slides to maximize the living space! And with the modern 13500 BTU a/c unit and efficient 25000 BTU furnace, the climate inside will be pitch perfect and comfortable! It'll be sweet dreams for you every night in the Jay Flight SLX 287BHS thanks to the glorious bedroom with its handsome furnishings for clothes and sundries, and a spacious, comfortable Queen bed! A family of 10 can sleep comfortably in this RV! Flush your problems away with the bathroom! Inside there is a Marine Foot Flush toilet and a shower! The water stay hot for extended periods of time, thanks to this RV's 40 lbs. of LP tank capacity! The black water tank has 39 gallons and the grey water tank has 39 gallons. There are wonderful sleeping accommodations throughout this great Travel Trailer, including the cozy bunkhouse with its comfy Bunkbeds! Kids especially will love climbing in and snuggling down at the end of every fun-filled day!